Black painted wooden box limited to 200 copies. Comes with the regular DigiCD version, an autograph card, a poster flag of the album cover (100 x 70 cm - heavy quality!) 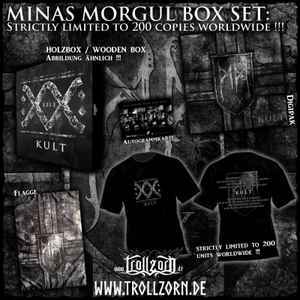 and a exclusive Minas Morgul T-Shirt (Gildan Ultra Cotton).